Ravensara comes from a Malagasy word “ravintsara”. When translated, it literally means that which heals. The oil is among the most exotic essential oils, and is derived from a plant that only grows in Madagascar – a small country on the Eastern coast of Africa. In the parts of Africa, where the plant is grown, its oil is popular and is used for a lot of medicinal purposes. Ravensara oil is produced from the leaves of its parent plant. The leaves are steam distilled and the resulting oil is collected. The oil has a spicy and warm scent somewhat similar to that of eucalyptus oil. Though the oil can also be distilled from the bark of the tree, usually only the leaves are used for extraction of the oil. The oil contains several organic compounds and chemicals, which lend it their healing powers. These chemicals include alpha pinene, caryophyllene, limonene, methyl chavicol, germacreme, methyl eugenol and terpineol. Analgesic: The oil is beneficial for relieving all kinds of pains and aches. From a mild toothache to severe joint pain, the oil can be used for immediate relief. The oil should only be used topically and should not be ingested. Antimicrobial: In Madagascar, the country where the plant was first found, Ravensara oil is most commonly used for its anti-microbial properties. It helps kill off any microbes on the skin and inhibits growth of bacteria or fungus. Due to its antiseptic properties and its ability to prevent infections, the oil is often used for cleaning and dressing of wounds. Antidepressent: When used in aromatherapy, Ravensara oil can be an effective mood enhancer. Though it cannot cure depression, it can certainly give your mood a lift. After a stressful day at work, or an especially emotional period in your life, simply diffuse some Ravensara oil and let it give you a temporary boost. However, if you are pregnant, you should consult your doctor before using the oil. 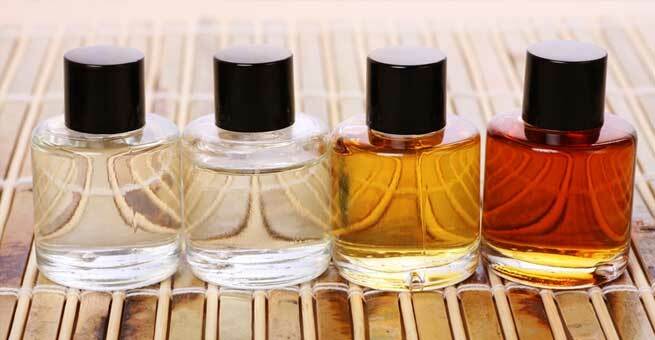 Aphrodisiac: The many chemicals in the oil make it an aphrodisiac. Diffuse the oil in your home when you are in the mood for love. It helps increase both your partner’s and your libido. The oil is also good for treating erectile dysfunction and frigidity. Relaxant: Ravensara oil has a very spicy, camphoric smell. The primary ingredient of the oil is Eucalyptol. Owing to that, the oil when diffused, gives a very pleasant aura. It helps you relax and de-stresses your body. It can be used for headaches, migraines and any other nervous afflictions. The oil has been used in experiments to determine its effects on anxiety disorders such as post-traumatic stress disorder. However, the results have been inconclusive. Expectorant: Due to its high concentrations of Eucalyptol, Ravensara oil acts as an excellent expectorant. When applied on the chest and the nose, the oil helps warm the nasal and respiratory passages. It loosens phlegm, treats congestion and is valuable in the treatment of breathing problems. It can also be used to suppress symptoms of asthma and for the treatment of bronchitis. Ravensara oil is very potent and therefore should only be used topically or aromatically. Some people often experience skin sensitivity to the oil and therefore it should first be tested on a small portion of skin before being used liberally. Like all other essential oils, Ravensara oil should also be used with carrier oil like coconut, olive or any other vegetable oils. The essential oil of Ravensara can be easily blended with many other oils such as lavender, cardamom, black pepper, sage, bergamot, marjoram, sandalwood, cypress, tea tree, frankincense, ginger, eucalyptus and lemon. Blending of oils change the chemical composition and the uses of the resulting mixture. Therefore, it is important to consult an aroma therapist or a doctor before you mix or blend any of these oils for therapeutic uses.